​Lyon forward Nabil Fekir has opened up about about Liverpool's interest in him last summer, adding that he may look to leave the Ligue 1 side at the end of the season. The Frenchman was heavily linked with a move to Anfield last summer, and a move was believed to be nearing completion, only for the deal to collapse at the last minute amid rumours that Liverpool were concerned about his recovery from a knee injury. Speaking to ​Telefoot, Fekir insisted that his knee was not an issue, but admitted that the failed move to ​Liverpool has inspired him to continue to work hard. He said: "Much was said about my knee but, as I have always said, there is nothing wrong with my knee. Oh well, it happens, it makes me want to keep working harder to improve and grow stronger." 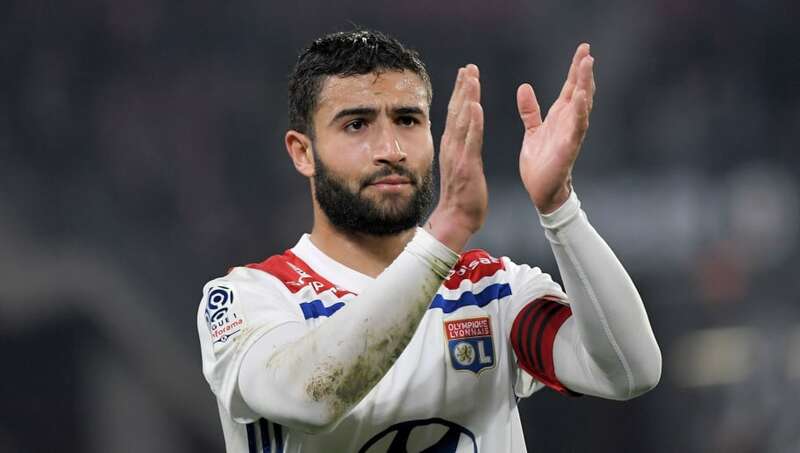 However, when asked whether he plans to pursue a move this summer or remain with Lyon, Fekir confessed that he is currently uncertain as to what his next move will be. He added: "I really do not know. In any case, I'm in Lyon, the president trusts me, it's good, every season is different, but we've started discussions with the president and we'll see. You'll see." Lyon president Jeah-Michel Aulas also revealed that the club are not currently working on a new contract for Fekir, saying: "We talk about everything, he's the captain, we talk to his agent too, and it's true that we also appreciate Nabil a lot, and if we had the possibility to extend it for a very long time, it would be wonderful for us. "But there is no discussion for a possible extension at the moment." Fekir remains under contract at the Groupama Stadium until the summer of 2020, but it is thought that Lyon could look to cash in on the 25-year-old this summer, as they look to avoid losing him for free at the end of next season. Liverpool have retained their interest in the Frenchman, whilst ​Chelsea and ​Manchester United are also thought to be monitoring Fekir, who has racked up 12 goals and seven assists in 31 appearances this season.